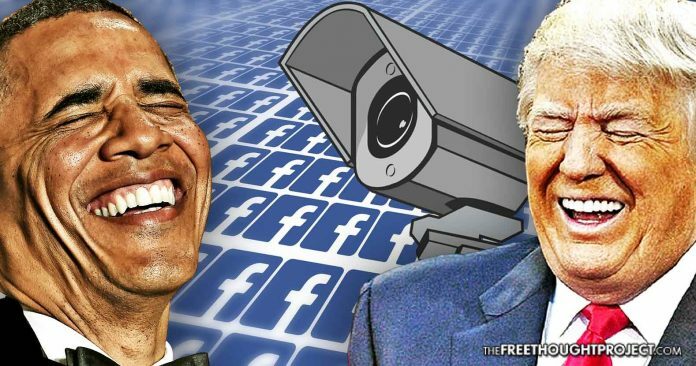 Both the Barrack Obama and the Donald Trump campaigns engaged in social media warfare—in which Facebook participated—to insidiously mine your private information for political gain. A high-ranking staffer from the Obama campaign in 2012 has come forward with massive revelations exposing an alleged partisan bias on Facebook’s behalf which paved the way for special privileges granted to the Obama campaign by the social media giant—up to and including the Obama campaign receiving millions of people’s information from Facebook. Carol Davidsen worked as the media director at Obama for America during the re-election campaign in 2012. She was responsible for maintaining a relationship with potential voters and she used Facebook to do it. However, it wasn’t just creating a page and attracting followers, Davidsen was given inside access because Facebook favored Obama which allowed the campaign to receive unprecedented data on millions of users. Facebook was such a fan of the Obama administration that they had no problem actually admitted to granting this access. “They came to office in the days following election recruiting & were very candid that they allowed us to do things they wouldn’t have allowed someone else to do because they were on our side,” Davidsen tweeted. “I worked on all of the data integration projects at [Obama for America]. This was the only one that felt creepy, even though we played by the rules, and didn’t do anything I felt was ugly, with the data,” stated Davidsen of her role on the campaign and how insidious it was. What makes this revelation so bombshell is that it exposes hypocrisy on so many levels, especially given the recent uproar over Cambridge Analytica and their mining of information for the Trump campaign. The mainstream media pushed this story as if it revealed some data breach inside Facebook. But that is not at all what it was. It was all legal and available for anyone with a checkbook big enough to fund it. As usual with tech and politics, bad reporting combined with weak technical literacy among politicians is confusing matters (though of course I’m all for Zuck being asked questions by Congress). As Facebook VP and general counsel Paul Grewal explained in a company blog post late Friday, this was not a data leak or breach. In fact, as has been previously reported a year ago by The Intercept’s Mattathias Schwartz, an academic researcher at Cambridge University named Aleksandr Kogan had developed a Facebook app that promised users a personality profile in exchange for their taking a quiz and allowing the app—like tens of thousands of other Facebook apps—to access private information from their profiles and that of their friends. To reach a large number, he paid American taskers on Mechanical Turk a $1 or $2 to download the app and take his survey, and from a seed group of nearly 300,000 was able to access personal data of what The Intercept said was 30 million American Facebook users. OK, so they were off by 20 million. Through a series of deceptive prompts, both the Obama and the Trump campaign waged data wars against Facebook users. To do so, they were prompted to agree to grant the campaign permission to access their Facebook friends list, photos and other personal information. Another prompt, which most people also agreed to, asked for them to grant access to their news feed. Through these prompts, the campaign had access to millions of people, and their interests, and friends – who they could note down as potential donors, unregistered voters and persuadable votes – to target in specific campaigns. One staffer said that once a supporter signed up through Facebook, it would take them mere seconds to go through their friends’ lists, match them with votes lists, and then they would go through photos – trying to weed out old girlfriends and college friends who could share their political beliefs. The campaign reportedly mined data from 15 million Facebook users, which triggered alarms at the social media giant, but the company always decided that the campaign had not violated its privacy and data rules. What’s more, it also reveals that both parties are so blinded by their pied pipers that they only care about this massive surveillance apparatus if “the other guy” is using it. Even Davidsen noted this bipartisan exploitation of the masses, pointing out that Facebook definitely has friends on both sides. “I am also 100% positive that Facebook activity recruits and staffs people that are on the other side,” she wrote. To those who’ve been following the Free Thought Project over the years, you’ll know that no matter what party is in power, the same insidious tactics are used against all Americans for the benefit of the establishment. Sadly, however, these recent revelations that both Trump and Obama carried out very similar behind the scenes data collections on millions of Americans will simply be used as political fodder between the left and the right. While the future of social media may seem bleak on the side of Facebook, there is also amazing news on the side of innovation and free thought. To those who’ve been paying attention, they saw the problem presented by so many people using a similar system that is ultimately controlled by those who have an interest in mining your data for profit, controlling the political narrative, and essentially creating a personal database on billions of people, the likes of which corrupt governments salivate over. Instead of trying to change the system of Facebook from within, several individuals came together to build a new system—which showed the obsolescence of the old. Thus, Steemit was born. If you’d like to know more about this amazing platform, check it out here.